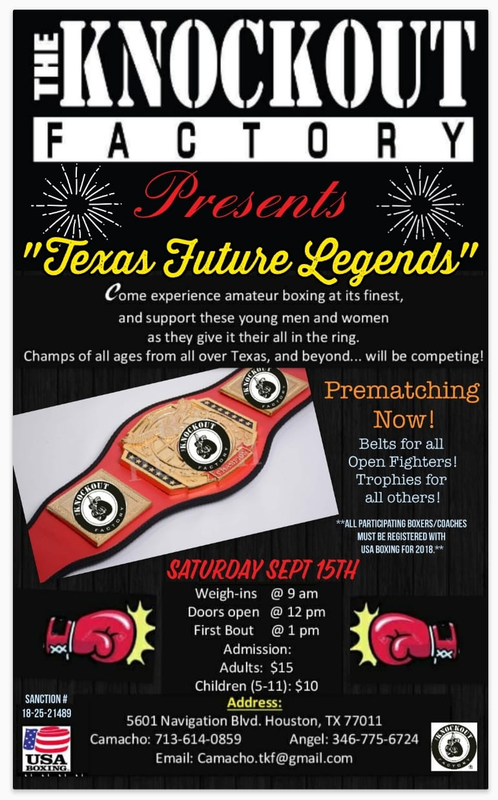 The Knockout Factory Presents Future Texas Boxing Legends! Food, Music & Fun for everyone! I have Ray Palladina 15 / 98lbs / 5bouts would like to make this match with Gilmar Magarin. Please call Coach Ced at 713-806-9147 or reply to this message. Sorry, we have him matched for February 21 and March 7th. 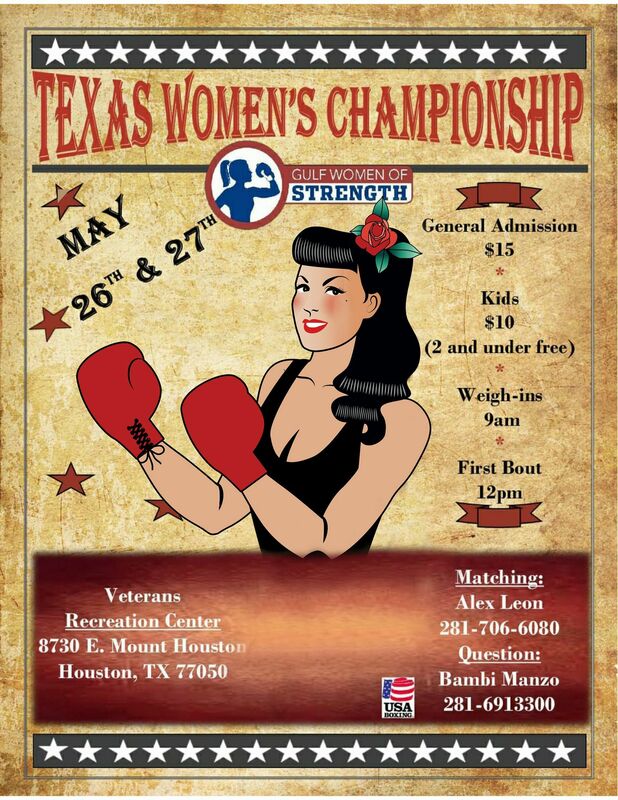 I have Darrius Fleming 16 /175 / 0 bouts, would like to match with Adam. 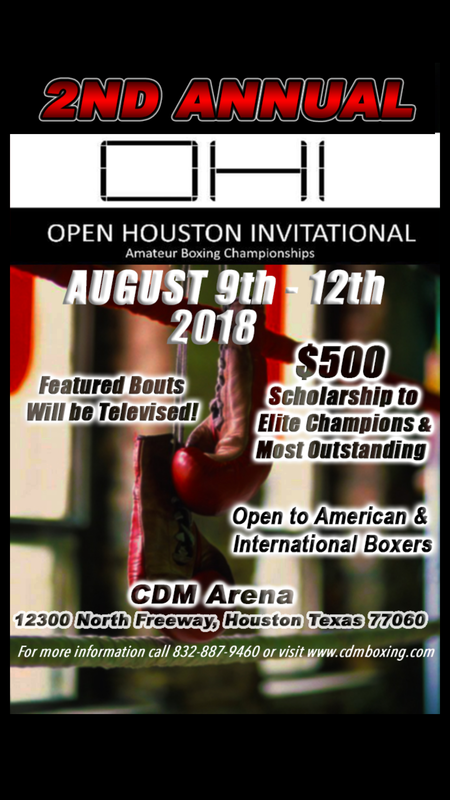 Please call Coach Ced at 713-806-9147 or reply to this message. I have Demarcus Payne 21 / 175 / 4 bouts. I have Juan Velasquez 13/ 85/ open and would like to match with Shannon Helaire. I also have Najii Ali 8 /62 /0 bouts, would like to match with Derek Lazard. 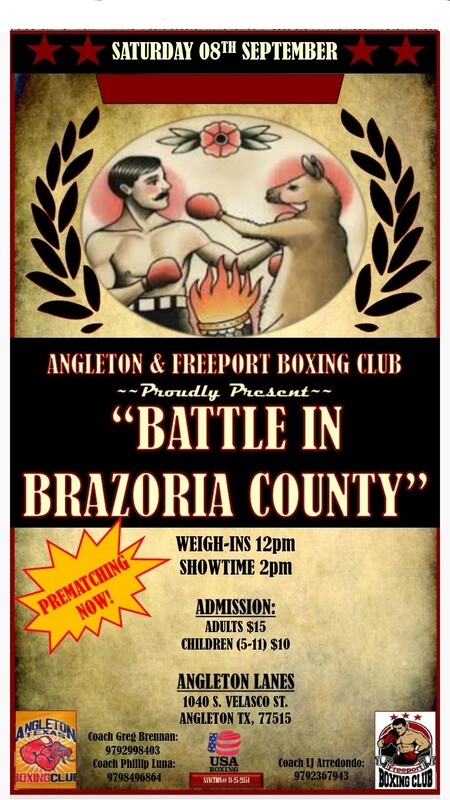 If interested contact me at 936-648-1047. Thanks! 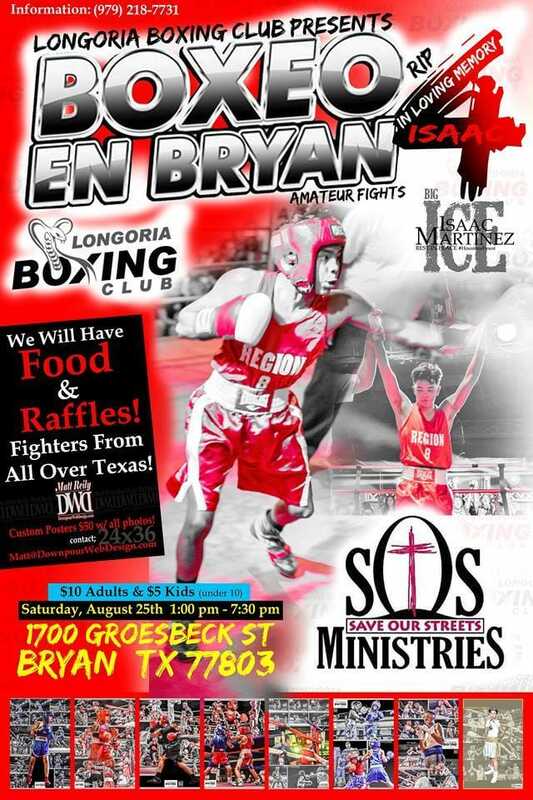 Im interested in Matching My Fighter With Daniel Garcia Please Contact me At 832-607-5469 .